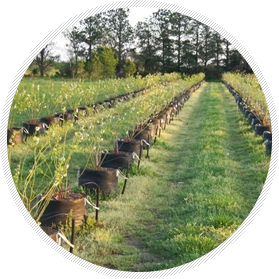 An above ground fabric aeration container that releases heat and automatically root prunes a plant's root structure. You get better growth with no root circling. Comes in all sizes. Made for ﬁeld growing, the Root Control Bag™ makes digging easy and greatly expands your harvesting season. No tree spade needed. The Pot Pruner™ is a fabric liner that turns any standard plastic container into a root-pruning container. It insulates against heat and stops root circling. And it is reusable. 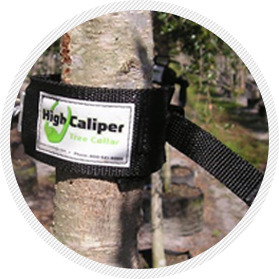 Protect your trees from wind damage with Tree CoIlars™. No more costly setbacks to your nursery due to wind blow over. 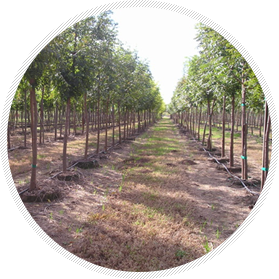 Mounts on a cable line, it is designed with extra padding to protect the plant. Easy to use and maintain. 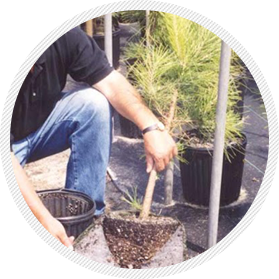 Learn more about what drew the attention of a number of progressive nurserymen, and why we have thousands of customers growing millions of plants, in all ﬁfty states and a number of countries worldwide.